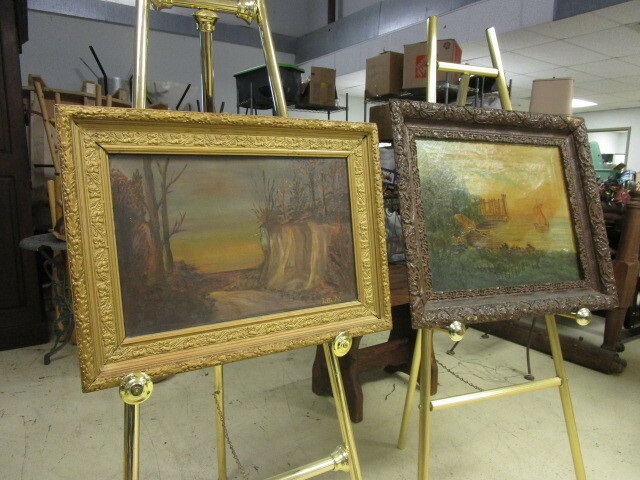 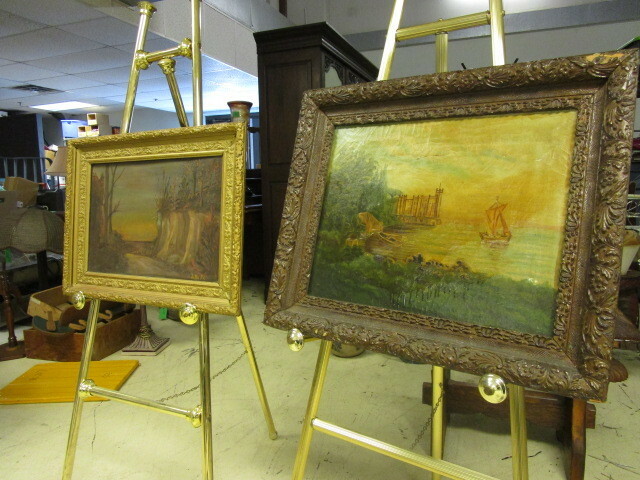 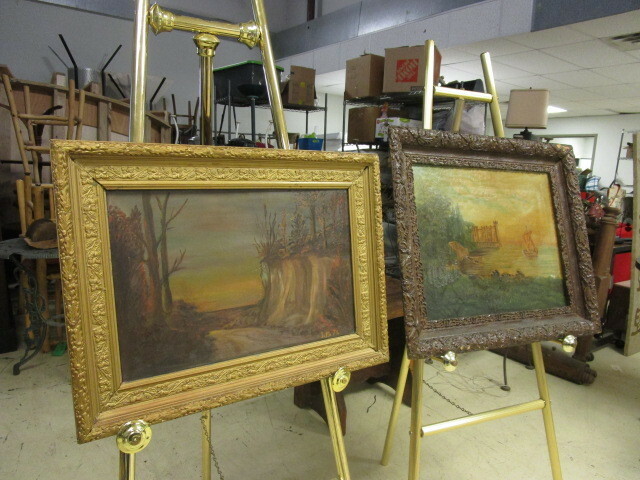 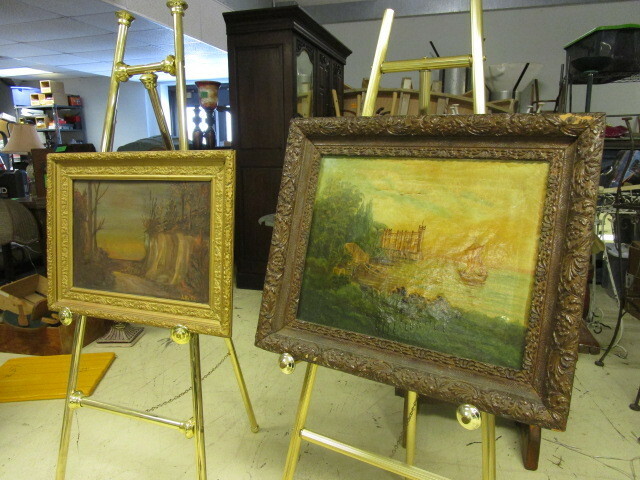 Two framed paintings. 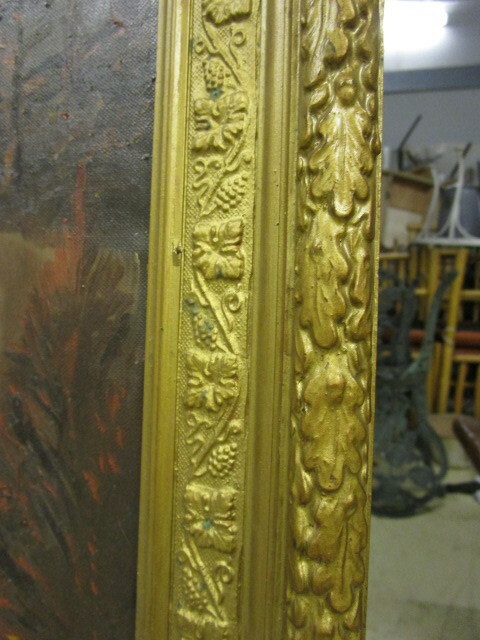 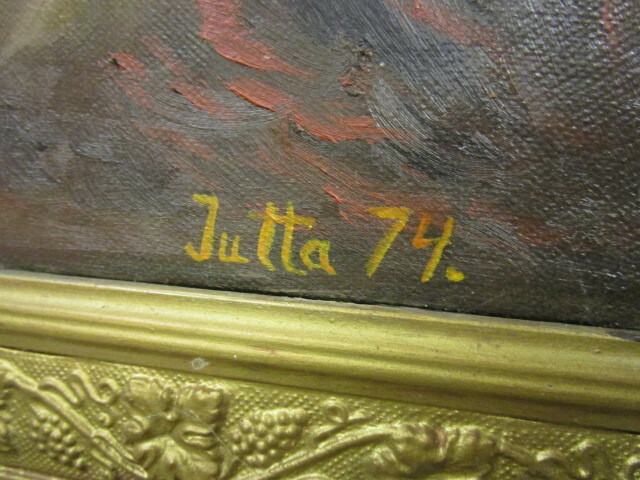 The gold framed painting has the name Jutta '74. 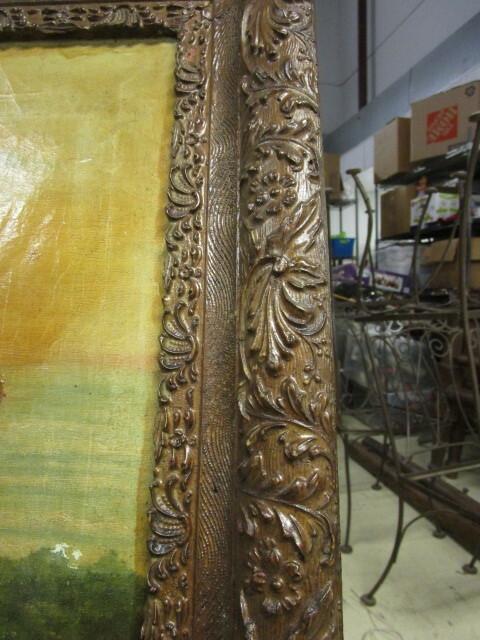 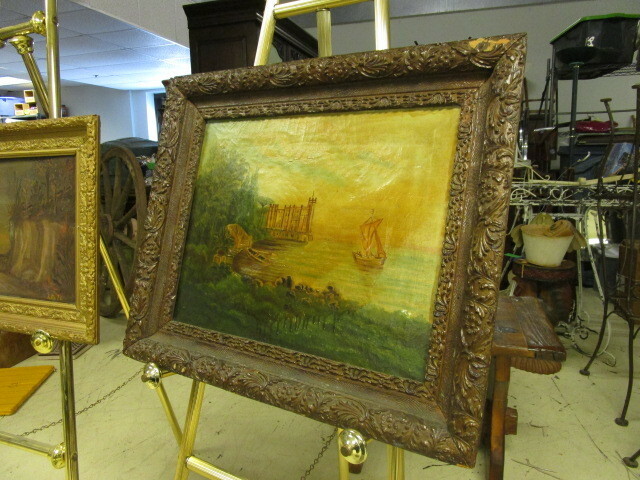 The brown framed painting has no markings. 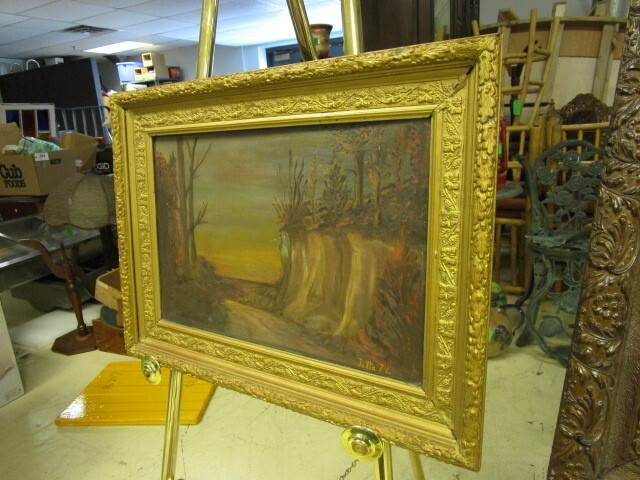 28" x 22.5"